Roatan has become a very popular spot for both expats and tourists coming from North America. Canadians and Americans especially love the convenience of reaching this Caribbean island directly. There are many Americans in Roatan who live here part-time or full-time. If that’s something that you’re considering, let’s look at the logistics involved in moving to Roatan as an American. Americans who move to Roatan tend to fall into a few different categories. Many move here full-time to enjoy an active, outdoor retirement. As a retiree, life in Roatan can be pure bliss. You’ll stay active with plenty of outdoor fun to enjoy, plus there are always social activities and volunteer opportunities available for you to explore. Another group of Americans in Roatan are the workers. They’re the professional scuba divers and the bartenders; they’re the teachers and the real estate agents. This group moves to Roatan for a better lifestyle in a better climate. And then there are the snowbird Americans in Roatan. They come for three months during the winter to escape the cold back home while enjoying the comfortable tropical climate of the Caribbean. American tourists are allowed to stay in Honduras for up to 120 days total without requiring a visa, so snowbirds enjoy the ease of travel as well. I’ll go more into that below. Finally, there are the transient Americans in Roatan. This is a large contingent for various reasons. Many of the working Americans who come here look at Roatan as merely a stop along their journey. They might work here for a year or two, and then they’ll move on to another place to work there for a while, and so on. This group will rent a long-term apartment and you’ll usually hear their scooters coming from a mile away because they’re old and have been passed through the ranks of transient visitors. 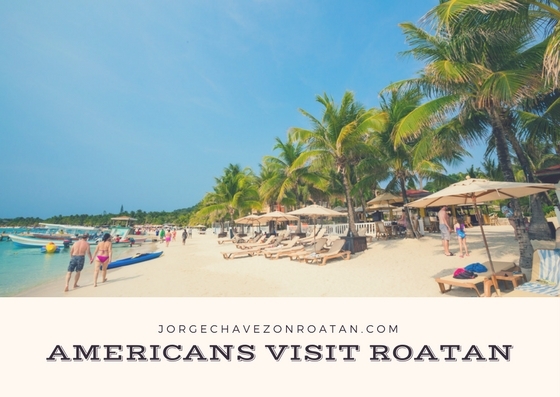 American tourists are another huge component of the fabric of Roatan. Since the cruise industry invested in two ports on the island, the number of annual tourists arriving has increased dramatically. Add to that the increased airlift from more U.S. cities and it’s easy to see why Roatan is gaining popularity for American tourists . It’s easy to get here, it’s easy to love this island, and it’s easy to make this a new favorite annual vacation destination! American tourists in Roatan find the island familiar enough to feel comfortable. English is spoken by everyone, U.S. dollars are accepted everywhere, and driving is on the right-hand side of the road. It’s pure paradise without any hassles! If you’re considering moving to Roatan and you’re from the U.S., you’re lucky in having a variety of options available to you. First, you should consider the length of time you intend to live in Roatan. If you’re thinking of snowbirding here, coming for just the winter months and enjoying the tropical climate, then you might not require residency at all. American tourists receive a tourist visa upon arrival in Honduras. That allows you to stay in the country for up to 90 days. You can request a 30-day extension before your visa expires to maximize your time at 4 months total. The immigration office in Coxen Hole can assist you with the extension. If you’re coming as a snowbird, you can visit as a tourist. The only reason you might require residency is if you want to purchase real estate and your acreage exceeds the limits for a foreigner (more than 0.72 acres). If you’re retired and want to move to Roatan permanently, Americans can apply for the pensionado visa. You must meet the monthly income threshold and adhere to government regulations for the application and renewal processes. The pensionado visa comes with some extra perks, too! You can import a vehicle and a container of personal items duty-free. Keep in mind when importing a vehicle that local mechanics might not be familiar with your make and model. If you can’t buy replacement parts or get them appropriately handled, it could be more of a burden to keep your car here. For all types of residency and legal questions, a local Honduran attorney is necessary. There are many reputable attorneys in Roatan who are all bilingual and can assist in all necessary applications. I’m more than happy to recommend one to you based on your specific needs. 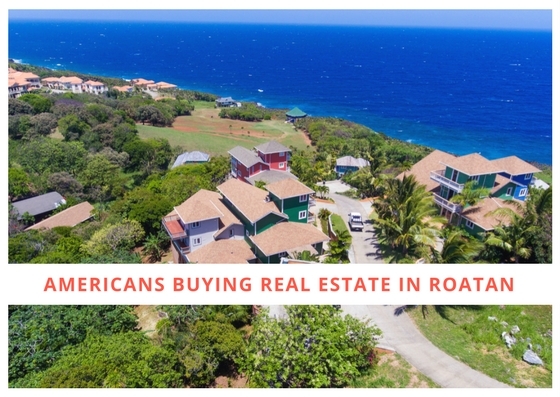 Foreigners are allowed to purchase real estate in Roatan without requiring residency status. You can purchase up to 0.72 acres in a single purchase, so most homes and lots won’t pose a problem at all. If you do want to purchase a larger tract of land or multiple properties as an investment, you can create a corporation to do so. Your corporation will hold the property as a Honduran entity. If you start a corporation, you can then apply for residency as well, making it easier for you to stay as long as you want and to work if you need to do so. You can peruse the Roatan MLS (Multiple Listing Service) to see the wide variety of real estate opportunities available in Roatan. Whether you’re looking for a condo, a villa, or a commercial property, I’m sure we can find the perfect opportunity for you. And, if not, there are plenty of lots available where you can build your own dream home or business! 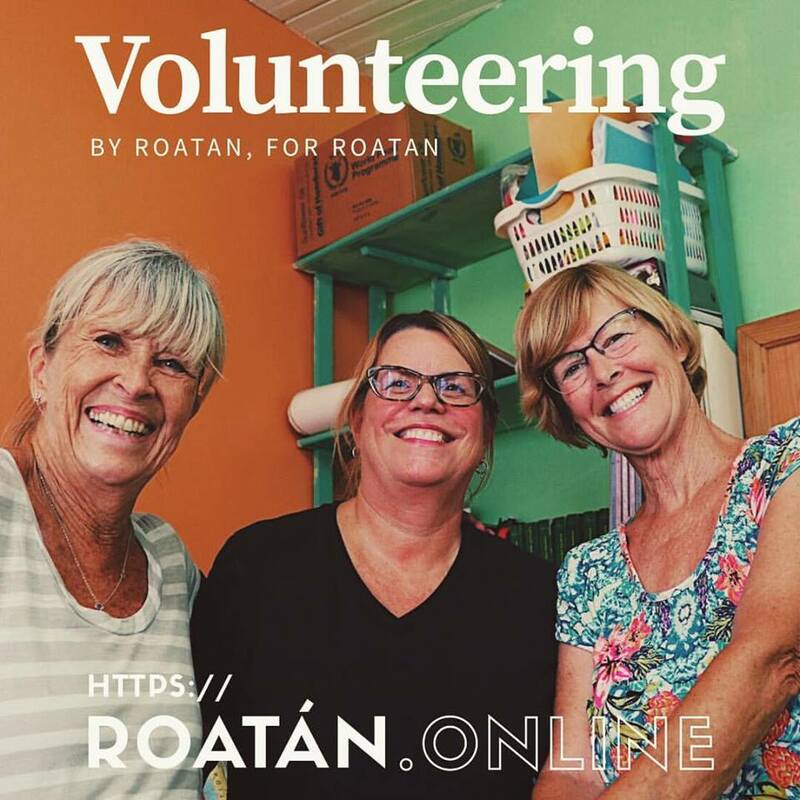 Do you have any questions about what life is like for Americans in Roatan? Feel free to reach out anytime! I’m always happy to help.